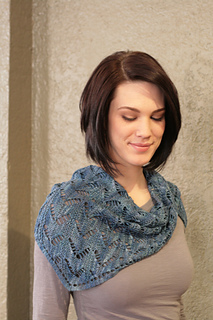 The blue sample was knit with 220 yards (100 grams) of Lorna’s Laces Pearl (51% silk/49% bamboo, 100 grams per skein) in ‘Sheridan’. 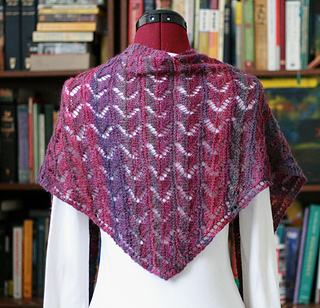 in stockinette after blocking and a finished size of 60 inches (152 cm) across the top, and 22 inches (56 cm) from neck to bottom point. 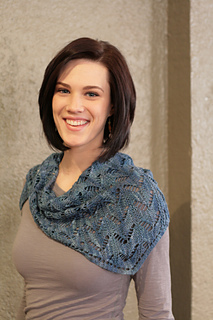 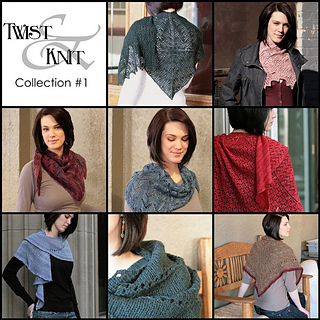 A simple geometric lace pattern is transformed when worked across the width of this triangular shawl. 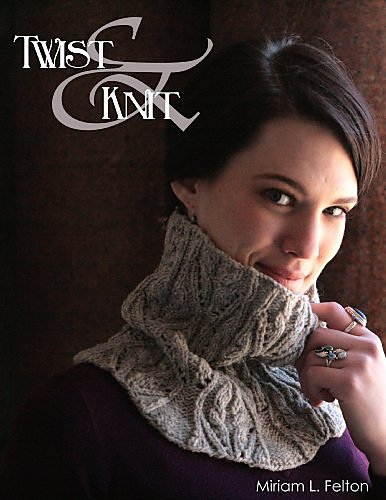 Motte means “moth” in German, and the subtle colors and winged motif would put the most beautiful moth to shame. 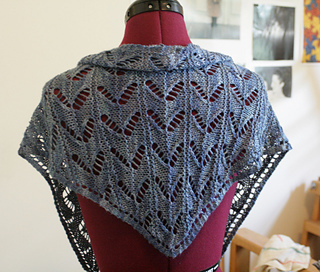 This shawl is worked from one corner along the wingspan, increasing for the back point, and then decreasing again to the other corner.